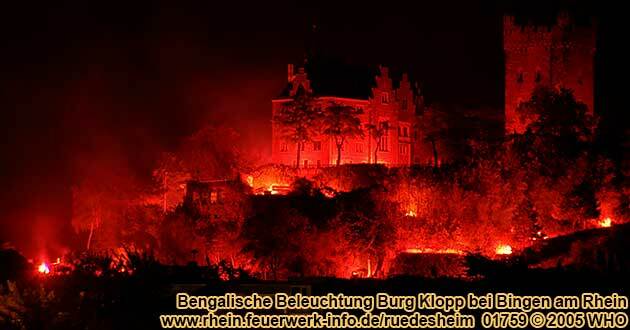 Bengal illumination of castle Klopp near Bingen on the Rhine River. 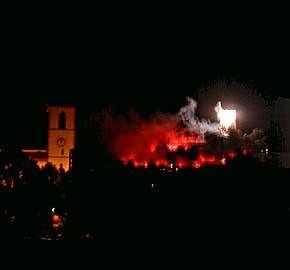 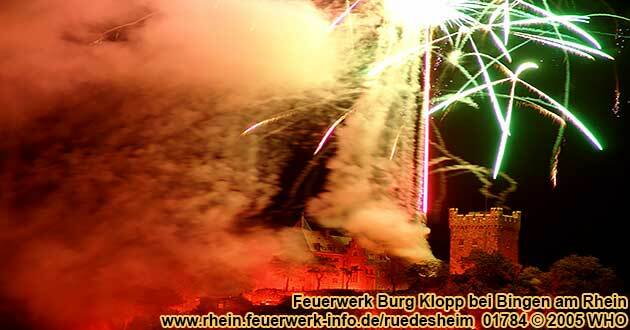 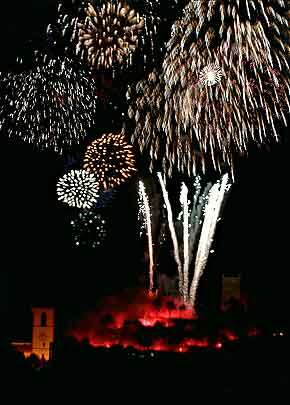 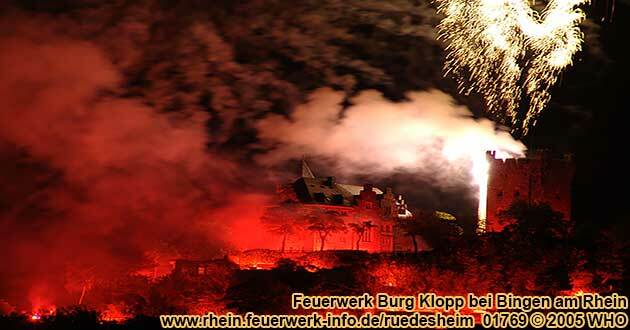 Firework display from castle Klopp near Bingen on the Rhine River. 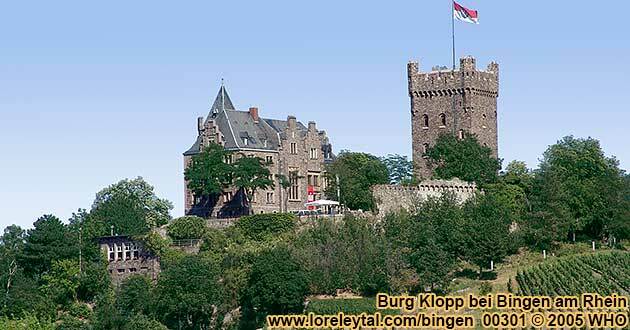 Castle Klopp near Bingen on the Rhine River.